Artecy Cross Stitch. 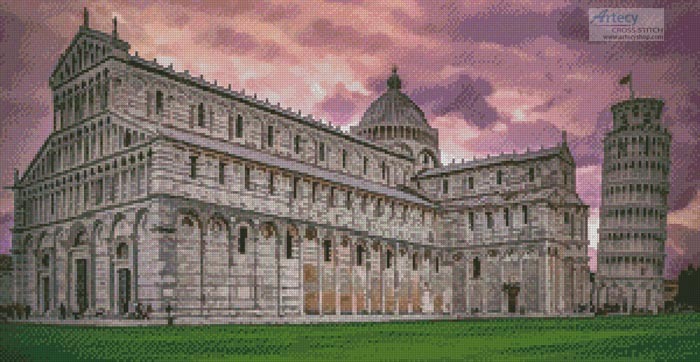 Pisa Cathedral at Sunrise Cross Stitch Pattern to print online. This counted cross stitch pattern of the Leaning Tower of Pisa and Pisa Cathedral at Sunrise was created from a photograph copyright of walkerssk - Pixabay.